The dramatic ‘Small Isles’ of Canna, Eigg, Muck and Rum have a fiery past that tell of a time when active volcanoes dominated the north-west coast of Scotland. 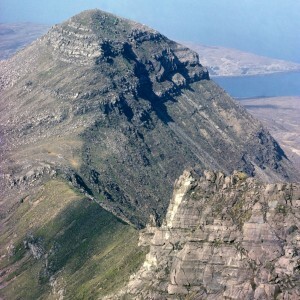 Rum is a geosite of international importance and fame for it’s layered intrusion. The islands can be reached by ferry from Mallaig all year and from Arisaig during the summer. 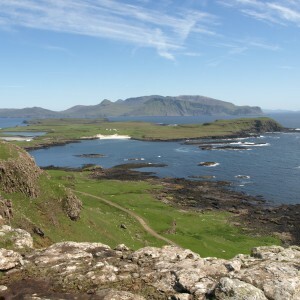 The stopping points on the geotrail help to explain the forces that have created the distinct features of the Small Isles. To purchase a pack of geotrail leaflets, visit our shop page.